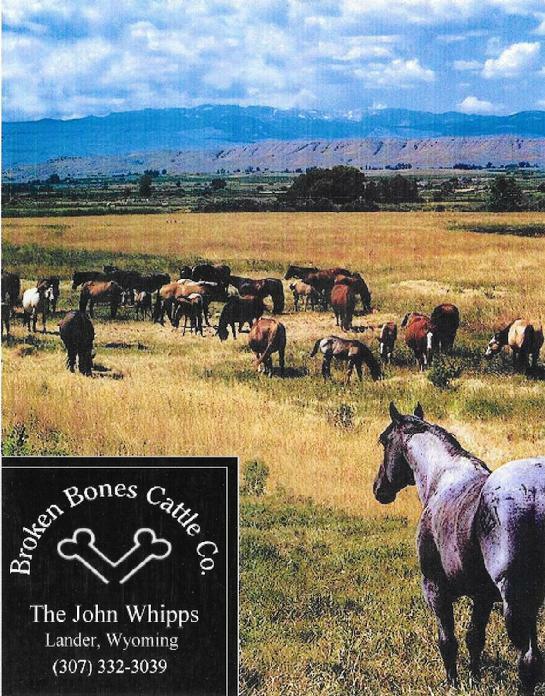 Broken Bones Cattle Company has been owned and operated by John and Marie Whipp since 1979. With the help of their five children they have established two excellent breeding programs. Their line-bred Hancock and Foundation horses are well known and recognized throughout the nation. Hancocks Blue Boy was their main sire for many years and they are currently breeding five of his sons. Several of Hancocks Blue Boy’s offspring have qualified for the World Show in tie-down calf roping, heading and heeling. In addition to their line-bred Hancock and Foundation-breeding program, the Whipps also breed speed horses. They have been racing horses for many years and have won numerous awards. Their race stock has gone on to perform well in many different disciplines, especially barrel racing.